INDUSTRY.co.id - Kuantan Singing - Beken Jaya Benai Farmer Group in Kuantan Singingi Regency, Riau Province harvesting shallots up to tens of tons managed on a quarter hectare of land, the results can improve the people's economy. The Deputy Regent said that the Beken Jaya Farmers Group (KT-BJ) in the Benai area had successfully planted shallots, this success could encourage other farmers to do the same business, because apart from being supported by land conditions, management was not too complicated. Halim Deputy Regent participated in the first harvest and hoped that after the farmer group had successfully cultivated shallots on an ongoing basis, besides inviting new groups in other villages to do the same and the results were believed to be able to boost Kuansing's economy as a whole. "If necessary, Kuansing does not depend on other regions," he said. Halim is optimistic, if every subdistrict has productive land to be used as a garden for onions, then in the future not only can it meet local needs but can also be sold to other areas and most importantly there is no vacant land. The Regional Government (Pemda) is very supportive of farmers in a variety of productive efforts, both regarding facilities and management assistance, so there is no need to worry about the difficulty of farmers in trying to cultivate in the field of cultivation if they want to progress and develop. Benai Kecil Village Chief Irfan Maulana said, the success of the Beken Jaya Farmer Group (KT-BJ) in developing shallots, has answered the slant assumption all along, that Kuansing soil is not good, for onion and red chili plants. "Trials on a quarter hectare land can reach up to tens of tons, the success will provide great motivation," he said as quoted by Antara. 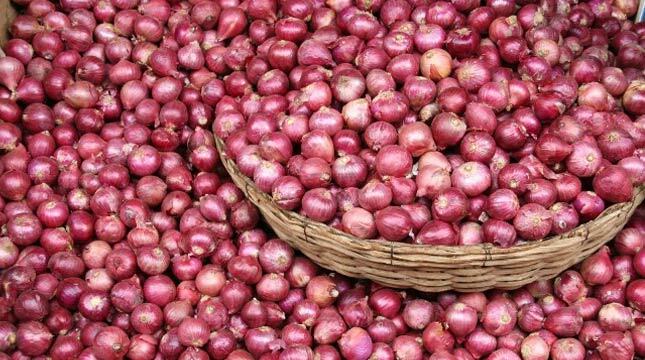 He explained, in fact the land provided for the onion plant covers an area of ​​one hectare, but, only a quarter of a hectare is planted by the community, if it is managed all the vacant land can be estimated that the yield can reach over 20 tons once a harvest. "Because it invites all parties to actively cultivate chili and shallots," he invited.